Are You Looking For a Suitable Approach to Unlock Outlook PST File Password? If you are one of those, who have come across such type of password issues in Outlook PST file, then you have probably hit the right place around! Putting up password on your PST file to protect it from unauthorized access is surely one of the safest and secured way to keep your data confidential from the access of outside user. However, this way of earning flexibility to secure your data can surely put you in a pitfall. It will not be surprising, if users come across instances where they have put long-tailed passwords for making their password credential stronger enough to avoid cracking by others. Nevertheless, this puts the user down in dilemma with the only way of stressing the mind to recollect the assigned password or look up for a suitable mechanism that would unlock PST file password. One of the situation that specifically involved the case of lost password is that a certain user had put a password on the PST file of Outlook 2007. Assuming that Outlook remembers the password for the PST file, the user did not bother to remember it or jot down on the sticky notes. The next time, he looked up to access the PST files in Outlook, it prompted for the assigned password. If you have kept Password in your PST file, then whenever you try to open Outlook, a window like this will pop-up asking for the password in order to view the Outlook emails. Without entering the correct password, you can't view your Outlook emails. Are you looking for Ways to get with it…? The only realization that comes upon the user's mind is had he made the suitable settings to make Outlook remember the password. Only then, Outlook can remember the password. However, the question that keeps on trailing the user's mind is that how to unlock Outlook PST file password. This question hangs around on every user mind who has been using Outlook and has assigned password to keep the PST files off the record. Reason being users who depend on Outlook for their daily activities keep their most important data stored in the PST files and staying away from PST files can eventually put their business process to hold. Well there is a practical approach of dealing with this complicated yet tricky situation. A utility like PST password unlocker can surely be your protector. It works on a headway approach to strip away the password from your PST files in a convenient platform. Do You Think That You Require Outlook to Unlock Locked PST files? You are wrong! Well, you will be surprised to know that the tool unlocks Outlook data file password without requiring the set-up of Outlook platform. Therefore, users who think that they will be requiring an Outlook environment to unlock PST file are probably wrong. This stand-alone tool brings out the competency to provide a platform that will help users to unlock PST files without the presence of Outlook on your machine. The PST file password unlocker follows a unique way of removing password from multiple PST files in a go. You just need to select the PST files that you want to Unlock and the application will remove password from them in an instant. PST Password Remover Software is built in the form of password striping mechanism. Once the application stripes off the password from PST, you can put a new password of your choice in the place of old password. Even if users have put long term and multilingual password, the application is capable of unlocking it. 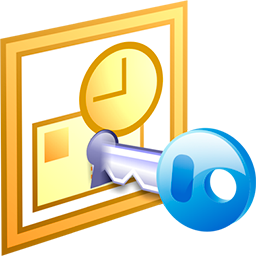 Outlook PST Unlocker is designed on the framework to bypass any character of any length while unlocking the password. The software has the support for the Outlook versions prior to 2003 that used ANSI type PST in addition to UNICODE type of PST used in subsequent versions of Outlook. Therefore, users do not have to worry regarding the compatibility of Outlook versions when using the utility. You can use the tool for unlocking Password protected PST files of any Outlook version of Outlook. The password Unlocker for Outlook is applicable for removing PST file password of Outlook 2003/07/10/13/16 in case of lost or forgotten password recovery. The application has been specifically designed to stripe off password completely irrespective of whatever platform users choose to import the PST. No matter, wherever you take the PST file, once it is unlocked, you can straight away access it anywhere. HAVE QUERIES Regarding PST Password Remover? How to Remove PST file password using PST unlocker? 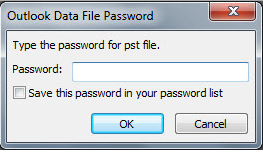 Click on Add Files or Add Folder option to choose password protected PST file. Choose one or multiple PST file to unlock as required. Outlook PST password has been removed. I have a password protected PST file. I want to know the password? You can unlock the PST file by removing the password applied to it, you can't have the previously used password though you can create a new one. I have a PST file of Outlook 2003 version, will the software work on it too? Yes, the software is capable of working with ANSI as well as UNICODE PST files and it also supports latest 2016 Outlook. I don't have MS Outlook installed on my machine, can i still unlock my PST file? Yes, PST password unlocker tool is a standalone utility and even when you don't have Outlook installed, still you can remove password from it. Difference Between full and free demo version of Outlook password removal Tool?